Fast turnaround and high quality service to keep you pedalling. Our fully equipped workshop is set up to take on all aspects of bike maintenance and repair. 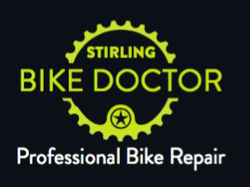 From changing tubes, fork and shock suspension service, replacing suspension bearings to e-bike diagnostics we have the equipment and expertise to keep you on your bike. *Thursday late night drop off/collection available by appointment until 18:30.